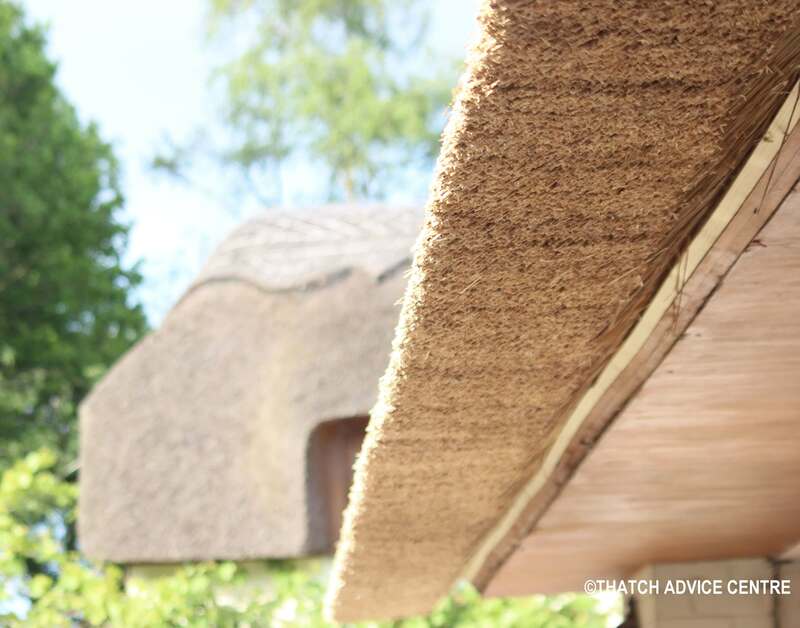 An eave is the term used to describe the bottom of a thatched roof. 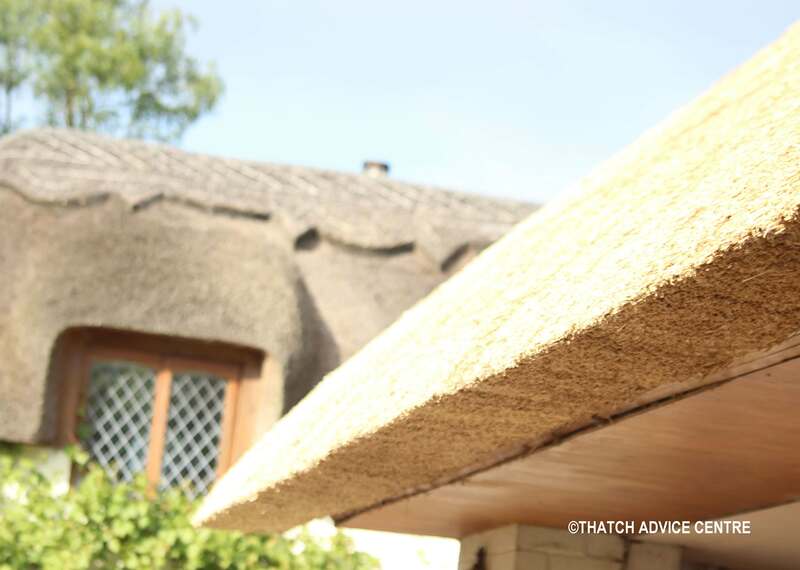 Eaves are where the thatcher starts thatching and then progresses up the roof in layers. The eave should be level and straight. Eave thickness may vary, depending on the building structure and type of material used. Often an eave on a water reed property is one coat thick and is very even. An eave on an older property which is thatched in Combed Wheat Reed or Longstraw may have several coats and be thicker. There are occasions where materials can be seen to be mixed at the eave, eg where a water reed coat has been applied over a straw base. The front edge of the eaves should be straight, the back edge free to follow the wall plate. Eaves, where the front edge is no longer level may show signs of water ingress via dark patches. This can often be a good sign of the coatwork of a roof starting to wear. Another sign of wear is if an eave has started to slip out. This may be due to workmanship or just the fixings such as spars and liggers holding it are rotten.